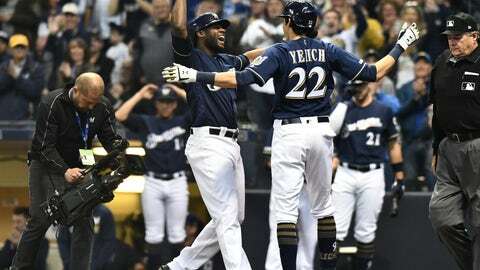 Sunday, April 7: Brewers' Christian Yelich celebrates his 100th career home run with teammate Lorenzo Cain in the game against the Chicago Cubs. Sunday, April 7: Giannis Antetokounmpo dunks two of his game-high 30 points to lead the Bucks to their 60th win of the season. 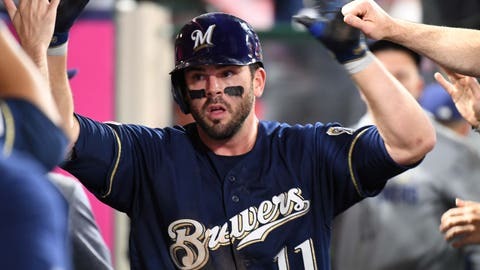 Monday, April 8: Brewers second baseman Mike Moustakas is greeted in the dugout after hitting a home run against the Angels. 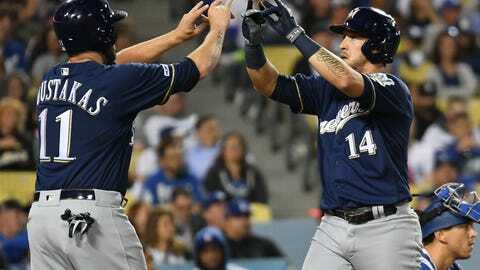 Tuesday, April 9: Brewers catcher Yasmani Grandal celebrates with second baseman Mike Moustakas after hitting his second home run against the Angels. 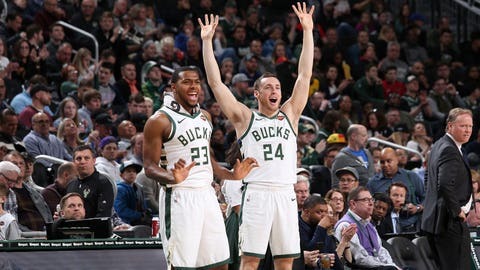 Wednesday, April 10: Pat Connaughton and Sterling Brown encourage their teammates on the bench during the Milwaukee Bucks' 127-116 loss to Oklahoma City that closed out their regular season. Friday, April 12: Brewers catcher Yasmani Grandal rounds the bases after hitting a home run against the Los Angeles Dodgers at Dodger Stadium. 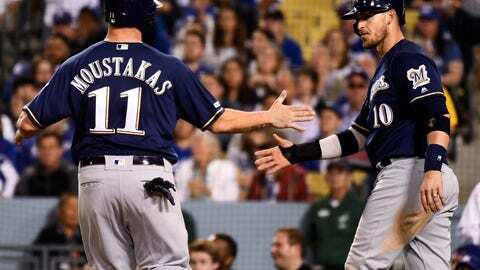 Friday, April 12: Brewers' Hernan Perez is greeted by Mike Moustakas after hitting a home run against the Los Angeles Dodgers. 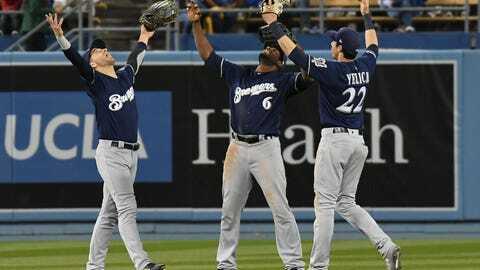 Friday, April 12: Brewers' Ryan Braun, Lorenzo Cain and Christian Yelich celebrate a 8-5 victory over Los Angeles. 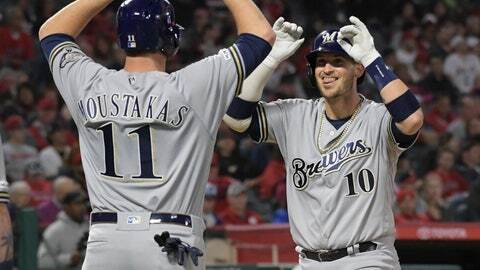 Saturday, April 13: Brewers' Mike Moustakas celebrates a solo home run with Yasmani Grandal. 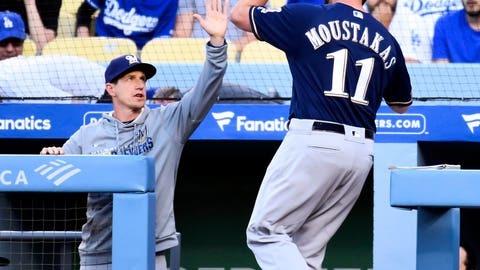 Saturday, April 13: Brewers' Mike Moustakas gets a high-five from manager Craig Counsell after hitting a solo home run against Los Angeles.